Julie takes great pride in her attention to detail and the enthusiasm she brings to each event. The fact that Julie takes the time to get personally involved in your event is not only what makes her different, she prides herself on it. The biggest goal that Julie has is to fulfill your vision while staying within your budget, no matter the size. In 2003, while planning her own wedding, Julie and her fiance became overwhelmed at the cost of wedding flowers. At that point Julie decided to take some classes and create her wedding flowers. With the help of her fiance (now husband), everything came together beautifully. 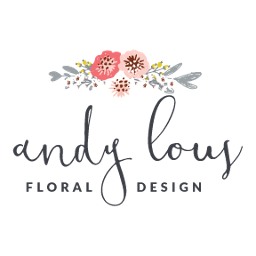 Andylous has come to be a well know, award winning event florist, now designing flowers for over 100 events a year including weddings, corporate events, school dances, funerals, showers, birthday parties, and floral deliveries. 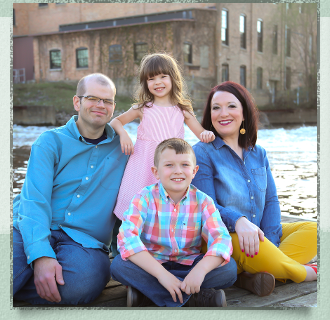 Designing from her home studio, Julie is able to offer better pricing as well as more attention to her clients, while being close to her children. Julie can't wait to meet you and chat about your big day!